Symptoms of Sinusitis include yellow nasal discharge from the front and back of the nose, blocked nose, frontal headache, pain in and around the sinuses, muzziness and fogginess in the head. In long term sinusitis sufferers the problem can be anatomical as infection and inflammation make the very narrow cavities prone to even further blockage. As the cavities are so narrow and so deep infections are slow to react to antibiotics. Acupuncture & Electromagnetic get the body to heal itself but activating endorphins and the area and stimulating the area with an electromagnetic pulse which will unblock the area. Use Acupuncture and Electromagnetic Acupuncture to free up the areas around the four pair of sinuses that are prone to infection and inflammation. This ensures a smooth flow of Qi and it releases any blockages. Clients often hear and feel a series of “pops” throughout the treatment. We will also look at diet and try to make a connection between diet and the pattern of sinuses problems. In my experience 50% of all chronic sinus problems are caused by a Food Intolerance. Thus we will get to the “Root of the Problem” either through an Elimination Test of certain food stuffs or an Allergy Test to establish the intolerances and this combined with Acupuncture will sort out sinusitis problems once and for all! Rachel is wonderful. I suffered from sinus trouble affecting my taste and smell for a long time. Acupuncture was my last hope, and what a difference!! Between Acupuncture and an Intolerance Test my problem has all been sorted. Rachel did everything possible to make this happen, she was always so helpful. 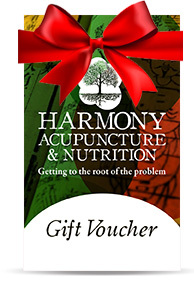 I would thoroughly recommend the Harmony Clinic.